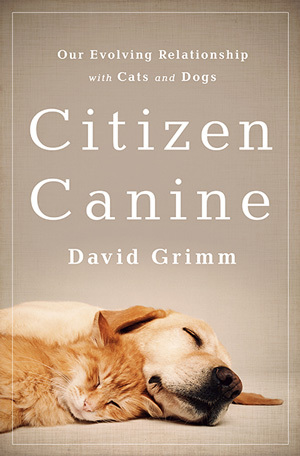 A talk with author David Grimm about our changing views of the history of dogs, how certain breeds have developed for certain tasks and the rapidly advancing scientific study of just how dogs think. Modern Farmer: What’s your take on the relative intelligence of a dog that has been bred for agriculture or to work a job? Are they smarter than a house pet? David Grimm: Scientists don’t like using the word ‘intelligence’ anymore. The idea is that every animal evolved to be the best at what it is best at. In other words, we may think we are smarter than dogs, but if you gave us an olfactory test we would look really stupid compared to dogs. That is why you don’t hear the word ‘intelligence’ a lot. People focus on what the animal is best at, so it’s fair to say that some of the dogs that have been bred specially, like border collie and other dogs that have been bred for herding or hunting, are better than other breeds of dogs at those things. That cognition has been bred into them. MF: Abilities are things you can breed over generational lines? DG: Yes, definitely. I think that goes back to the very first dogs who evolved from wolves. We had animals that we at first didn’t really know what to do with. They seemed kind of useful: They were friendlier than wolves, potentially malleable, and I think in the early days – between 15,000 and 30,0000 years ago – the first things we were breeding into dogs was the ability to help us hunt, guard our campsite and, when livestock came on the scene, to protect and herd. MF: How much do we know about the early days of how man and dog interacted? DG: Nothing is actually known, but there are a couple competing theories. One is that early humans had found some wolf pups, raised them and over the generations bred them to be dogs. That theory has fallen out of favor. Dogs are the very first things we domesticated, so we would have had no idea we could take one animal and turn it into another. So that seems like a fantasy theory now, though there are still some scientists who espouse it. We may think we are smarter than dogs, but if you gave us an olfactory test we would look really stupid compared to dogs. Probably what happened is that dogs self-domesticated. The idea is that as early humans were traveling from campsite to campsite and living in villages we had these big trash piles and wolves started following us and lurking around the edges of villages. Over the generations the wolves would get closer and closer. Because they got closer, they got more food and survived better than the more scared wolves. 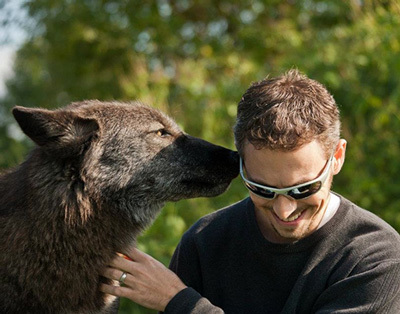 So we have hundreds or thousands of years where the wolves are getting closer and closer and closer, until they are basically living among us and aren’t afraid of us. What scientists are converging on is that dogs went through this first stage of domestication and once they were living among us, we started much more selectively breeding them and training them. That was a second phase of domestication, where dogs became more attuned to us. Cats never went through that second phase and are much more aloof and harder to train. Cats came on the scene about 10,000 years ago when we were very much farmers and we had all this grain and storage which brought mice and rats. This attracted cats. MF: Do we have a sense of what people were doing with dogs before the agricultural revolution? DG: Its unclear. I spoke to a woman for my book and her hypothesis is that the first dogs were not really like the dogs we know today. They were like Siberian Huskies on steroids. These were very big and muscular animals. She even proposes that we could have used them as mules, like strapping firewood to them, just helping us transport stuff. That would have been useful in the hunter-gatherer days because we were not living in villages, but we were moving from campsite to campsite. At that point dogs would have been useful as cargo carriers and maybe helping us hunt. When we started settling down, it became more useful for them to be guarding our villages and maybe helping us herd. Once we settling down in villages and start domesticating livestock then we need animals to help us herd and protect flocks. That is where you are going to see new skills coming in with dogs. MF: What do you think are some of the cognitive abilities of dogs that people aren’t aware of? DG: One of the really cool things is about 15 years ago there were two groups of scientists, one at Duke University and one at Budapest. The studies showed if you have bunch of cups on the floor, and one with a treat in it, if you point to the cup with the treat in dogs will almost always go to the cup we point at. It doesn’t seem too complicated, but chimpanzees can’t do that. There has been this explosion in dog research since then. 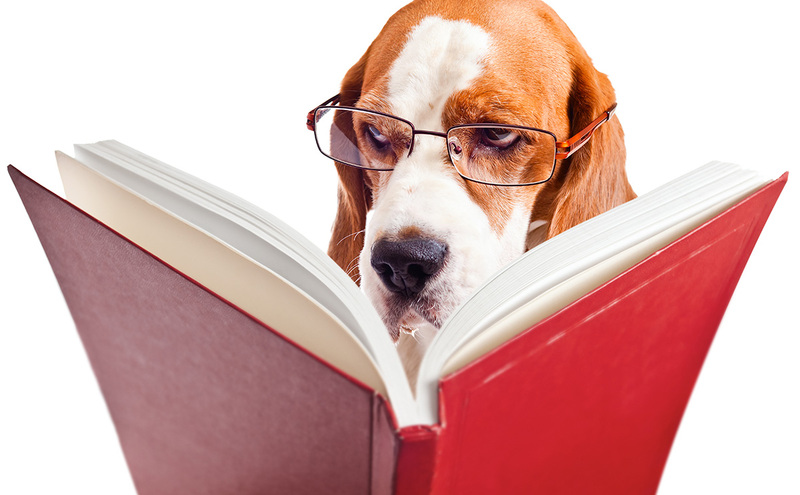 There is nearly a dozen labs around the world that study the canine mind, and it goes back to that experiment. It is kind of a social skill. Children don’t learn to follow someone pointing until they’re about one year old. When children learn to follow pointing, it opens up a wide range of things for them. That’s how we teach them. They use it to interact with us and learn about the world around them. It is an incredibly important skill for a species. Scientists have said the reason why dogs can figure out pointing and chimpanzees can’t is because dogs are very tuned into our species. They have been living with us for longer than any other species has, for tens of thousands of years. So they really need to be tuned into our social gestures. They need to know that when we throw a ball we are trying to play with them, not hurt them. A chimpanzee may think we are trying to hurt them when we do that. When we ask a dog to shake our hand, that’s a gesture of friendship and cooperation. Try to get a chimpanzee to shake your hand, it might bite your fingers off. Even though a chimpanzee is in more ways cognitively advanced than dogs are, they just don’t have these social skills. MF: How does a working dog view its master? Do we have a sense of this? DG: I don’t think we really have a sense of this. It is a great question whether the dog that is a pet feels it has a different relationship with its owner than a dog that is a working animal. The way that owners treat working animals varies. I think there are some working dogs that are not seen as pets but seen as coworkers and maybe companions, but rarely seen as family members. Does the dog that sleeps in the owner’s bed know that is is kind of a family member in comparison to the dog who works in the field all day and sleeps in a shed? I don’t know the answer to that. My guess is that a dog probably knows there is a difference in that relationship. MF: What is it like when you run experiments on dogs? Are they usually eager to take part? Is it something that they view a task they can complete and receive rewards for ? DG: Yes, I think that’s the reason we know so much about how dogs think. Dogs, for the most part, are very eager to participate in these experiments. You bring them into a lab and they’re happy to be around anybody and do anything your want them to do for a treat. Its been very easy to study dogs and put them through a variety of tests. Researchers have even put them in MRI machines, which is a pretty harrowing experience – even for a human. There is lots of noise and it’s a tight space. Dogs can actually be trained to sit still now in MRI machines, which is allowing us to really physically probe what is going on in their brains, which is really difficult to do with any other animals. MF: Last question: Are you a dog owner yourself? DG: I’m not. I do like dogs, but I grew up with cats. I have two right now.